Doors of Perception’s director, John Thackara, was programme director of Designs of the time (Dott 07), a year of community design projects in North East England that explored what life in a sustainable region could be like – and how design can help us get there. 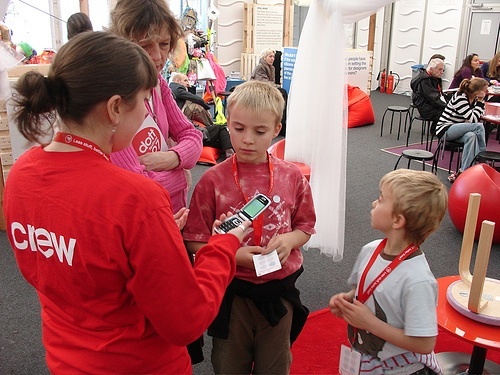 It was an initiative of the UK Design Council and a regional development agency, One North East. 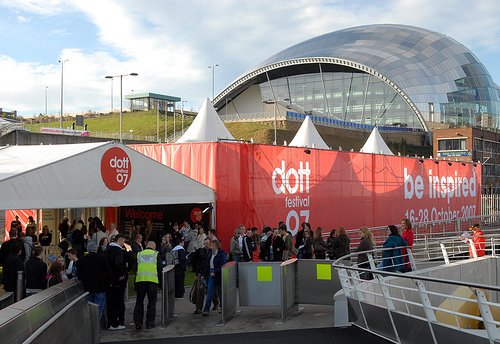 More than 200,000 citizens engaged with Dott, including 20,000 who came to the concluding two week festival on the banks of the River Tyne, and 15,000 school students who responded to its design briefs and projects. Seventy percent of Dott’s public commission projects continued with new partners once the biennial season was over. WorldChanging published extracts from the Dott Manual here and here. The book may be purchased here. 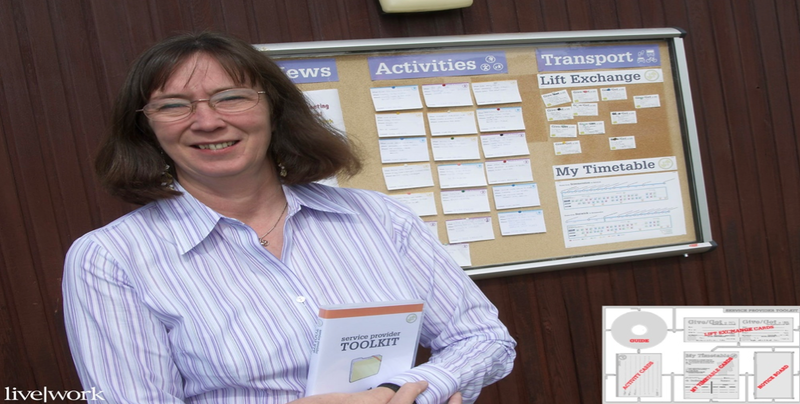 The Move Me project tackled the need for mobility and access in a rural community in Northumberland. In policy terms, the project looked at transport intensity, rural access and resource efficiency. 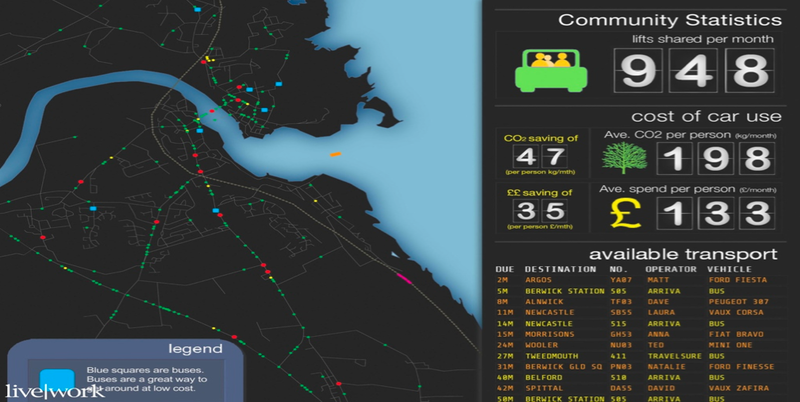 In Dott terms, Move Me involved the exploration of practical ways to improve daily life for one community, in one place, and the co-design of a reliable and sustainable transport service. The aim was to improve access without adding more cars or building new roads. In a project called Urban Farming more than 1,000 residents from Middlesbrough grew fruit and vegetables in containers around the town. Senior Producer David Barrie brought together community groups, allotment holders and other citizens together to grow their own food in previously unused public spaces; he also persuaded Middlesbrough Council, 15 primary and secondary schools, and numerous local community and voluntary sector organizations and existing allotment growers to participate. 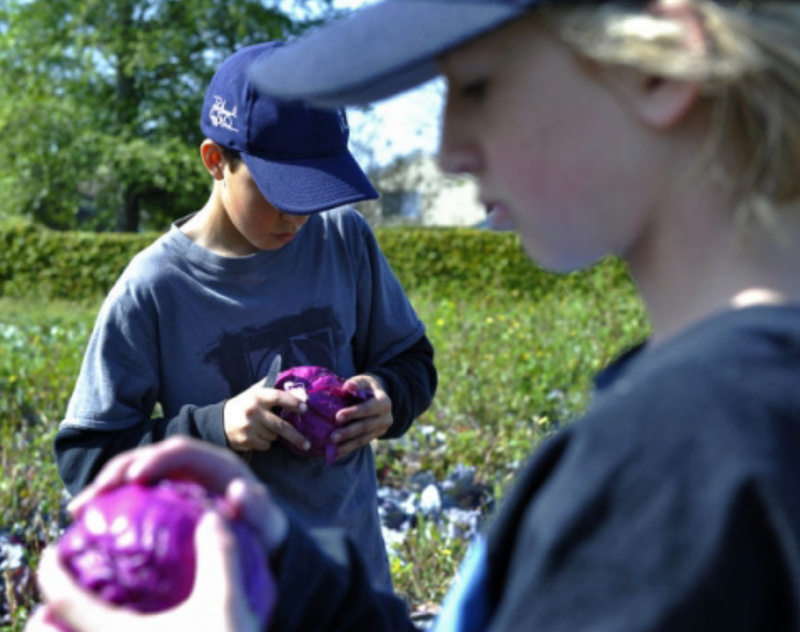 These ‘new urban farmers’ brought their harvested produce to “kitchen playground’ events where they shared advice on how best to prepare and cook dishes using these ingredients. The project culminated in a Middlesbrough Town Meal, where over 6,000 local people were fed. Walker School of Technology was one of the first schools in England to receive funding as part of the government’s £70 billion Building Schools for the Future (BSF) national programme. The money is to improve and upgrade its buildings. Together with Dott 07, the school community launched OurNewSchool to identify the design priorities for their school before the architects came on board. Senior Producer Engine created an in-school design laboratory at Walker; this enabled all members of the school community to become ‘design ready’. 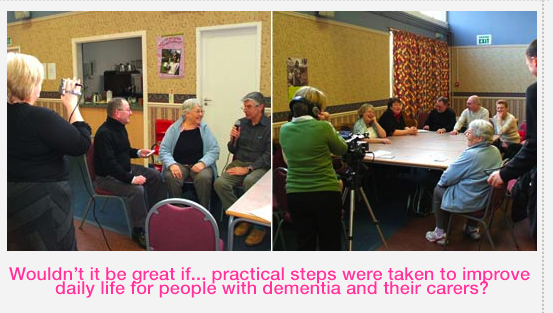 Dott 07’s Alzheimer100 project set out to explore ways in which the daily lives of people with dementia and their carers might be improved. 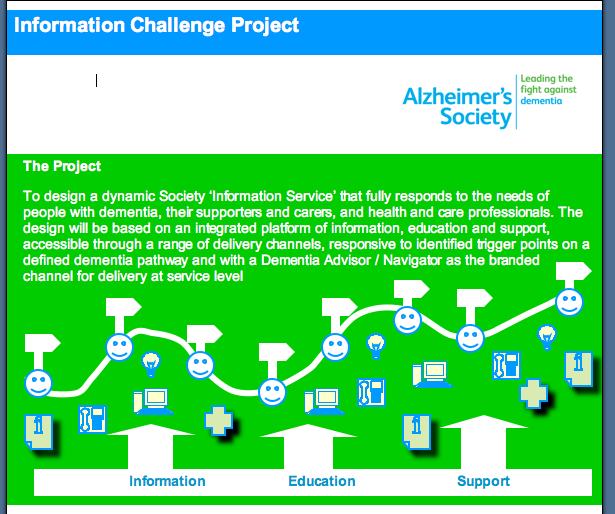 Working with the Alzheimer’s Society’s 13 regional branches, Senior Producers ThinkPublic helped people to record their experiences of dementia using video, interviews, drawings and the written word. They discovered that six issues were of particular importance: First experiences ; Early stages; Stigmatization; Enabling and assisitive technology; End-of-life (including issues to do with care homes, palliative care; family support; end-of-life directives; support for carers before and after death). A series of co-design workshops focused on five service scenarios, including a ‘time bank’ scheme for volunteers to make it easier for friends and family to help; and a Dementia Concierge Service to help guide people through the early stages of dementia. This latter project is still ongoing (below) three years after Dott07 itself ended. 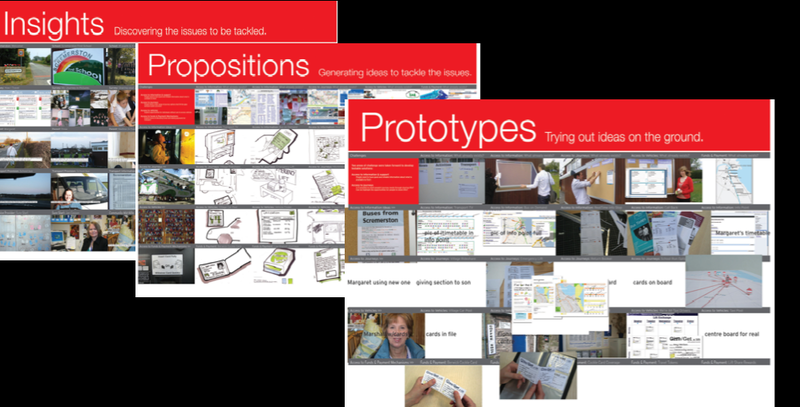 In Dott 07’s Design and Sexual health (Dash) project, service design techniques were used to develop a sexual health service blueprint. This was a live project to meet a real need. 40 professionals and more than 1,000 Gateshead citizens were engaged. DaSH was led by Design Options together with Gateshead Primary Care Trust (PCT) and the Centre for Design Research, Northumbria University. People on the street and among high risk groups were a particular focus; Design Options spoke to many young people, gay and bisexual men, and other groups who find it harder to use health services. 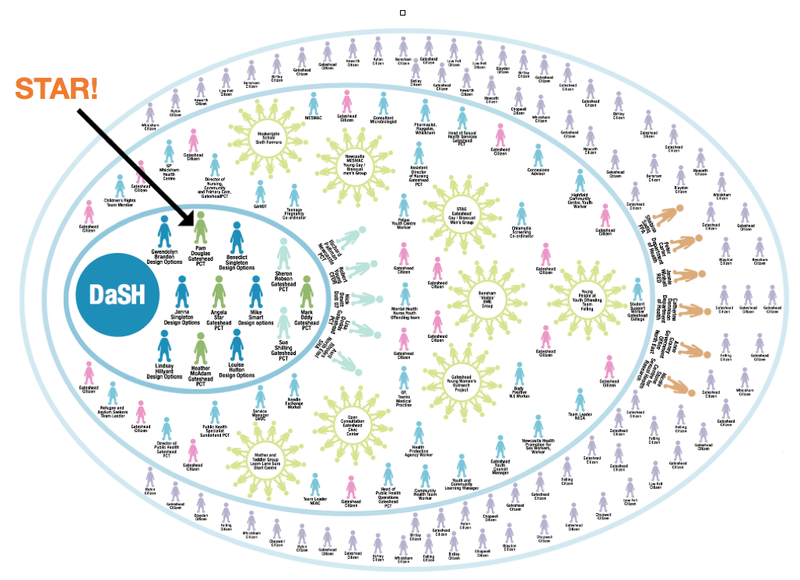 The DaSH team published a blueprint which set out strategic recommendations for service networks, information management, clinical leadership, ongoing monitoring and workforce development, and a < a href=”http://www.dott07.com/go/health/healthwise/dash-conclusion/design-and-sexual-health-dash-conclusion”>service experience blueprint which set out guidelines for the promotions strategy, clinic environments and care journey experiences. Low Carb Lane set out to explore what it would take for one residential street – Castle Terrace in Ashington – to reduce its carbon footprint and save money on energy bills. Dott’s senior producers, live|work, ran a series of co-design exercises; these led to three main concepts: ‘Saverbox’ – a financial product designed to remove financial barriers; Nesco (North East Energy Service Co-operative) – a not-for-profit, energy utility; and a Home Energy Dashboard that would take display information from customers’ household meters on their resident’s televison screen. A project called Welcomes explored ‘welcoming’ in various locations at the region’s edges. 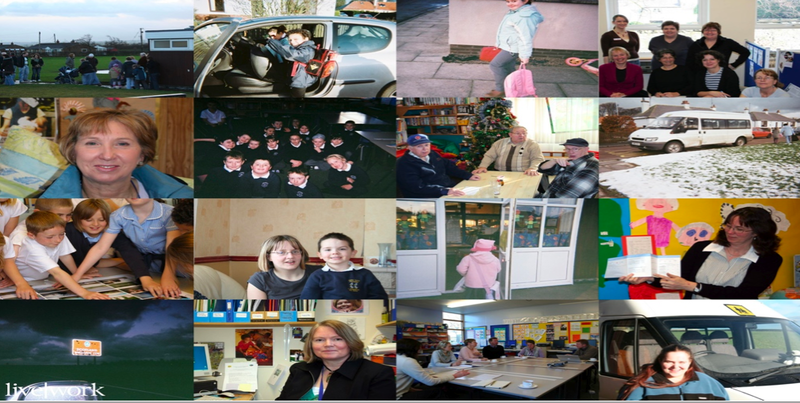 Small groups worked with independent media company Media 19 to make images, films and audio/written material on their ideas. These ideas were presented in a special exhibition on the Transporter Bridge in Middlesbrough. Mapping the Necklace involved the use of design to re-focus attention on the forgotten qualities of a place. Dott 07 teamed up with The Durham Necklace Park team to co-produce a four day mapping exercise along a 12 mile stretch of riverside that runs through Durham (a world heritage city). The Durham Necklace Park involves local people in efforts to gain more access to this stunning riverside environment. 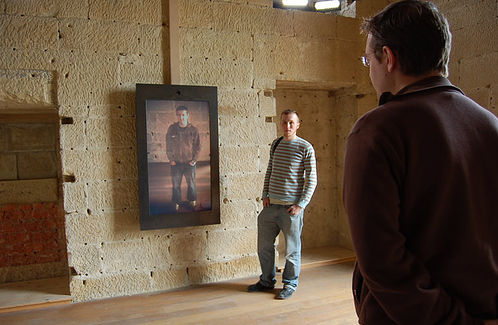 Twenty original films were made from the mapping weekend and displayed in the Dott 07 Festival. In Dott07’s Sustainable Tourism Design Camp, led by Steve Messem, young designers and visual artists from eight countries investigated how sustainable tourism might be developed and implemented in four specific locations. An Urban Camping team transformed a disused urban space beneath Byker Bridge in Newcastle Gateshead into a temporary, sustainable accommodation for visitors to the Dott 07 Festival. A second group created night-time outdoor light installations that evoked Allendale’s lead mining heritage. A third group investigated the concept of power generation as visual spectacle and tourist attraction. In Landlines, a section of land the size of three football pitches was ploughed in a way that created a remarkable but temporary landscape design for train passengers on the East Coast mainline to see as they passed through the area. 15,000 people per day saw the Dott 07 pilot. Dott07 also participated in Picture House. Curated by Judith King, the event brought together film directors, artists and designers who were invited to transform English Heritage’s Belsay Hall in Northumberland. In Vital Signs Alnwick’s award-winning town crier John Stevens, and performance art group Lone Twin, were commissioned by Forma to create a series of proclamations to be ‘cried’ across North East England. Each proclamation told stories of places, events and communities, compiled during a period of research in the area, and gave a sense of the eclectic nature of local life by combing hearsay, first-person accounts, factual narrative and fictional construct. The Dott 07 Festival brought the Dott 07 projects and their participants together so that a broader public might learn from and be inspired by their projects, processes and results. A highlights of the festival was the Dott 07 Creative Community Awards which celebrated and awarded individual and community achievements in the various projects. A series of set-piece debates reflected on ways sustainable design can provide solutions to complex problems.